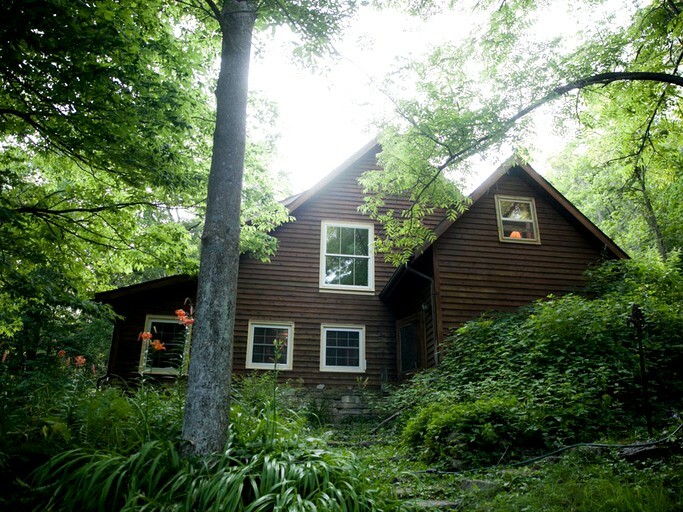 This scenic cabin retreat is set within a stunning forest near Caledonia, Minnesota, and sleeps up to 10 guests. Ideal for groups, this property in Spring Grove features three spacious bedrooms with dressers and closets. 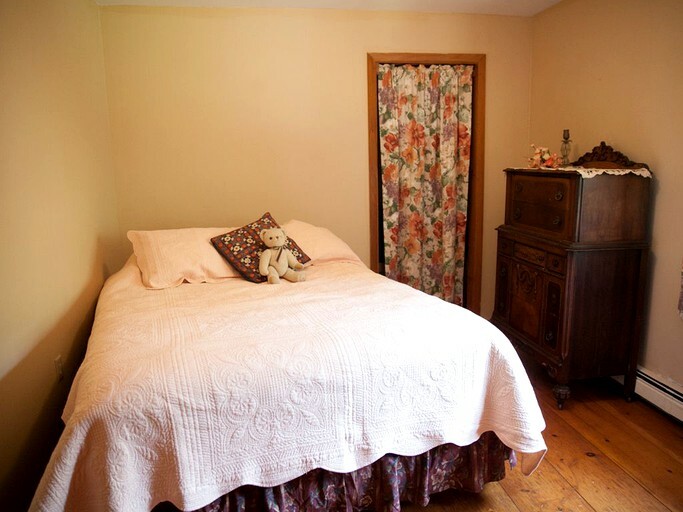 The master bedroom has a comfortable king bed, a queen bed, and a crib for two babies. 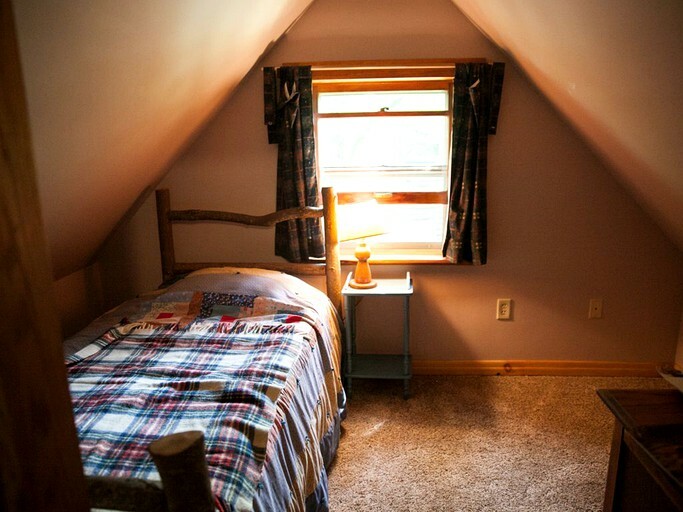 The second room is equipped with a queen bed, while the third and fourth rooms in the hallway both have a single bed each. 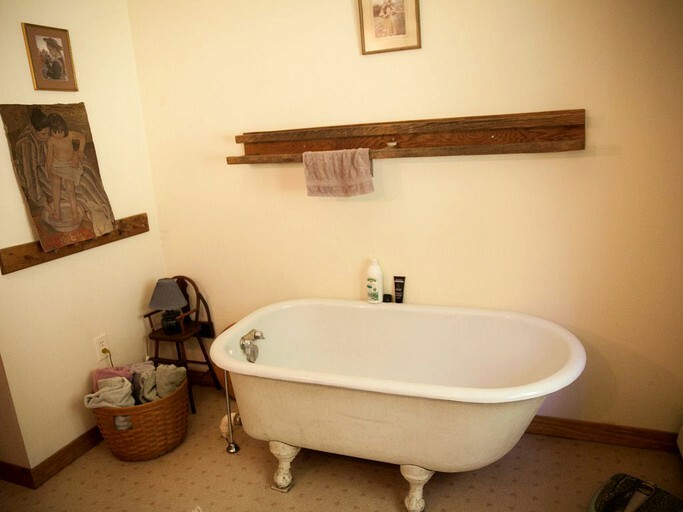 In the first bathroom, guests will find a toilet, a sink, a clawfoot bathtub, and a shower. 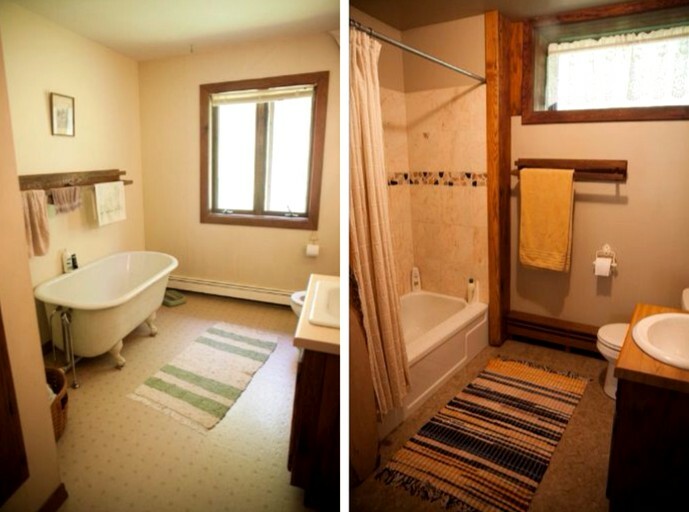 The second bathroom has a toilet, a sink, and a bathtub. Linens and towels are provided. Guests will find an open-plan living, dining, and kitchen areas. Large windows provide views of the gardens and wildlife. The living room has three sofas, luxurious oak floors, butternut cabinets, and an exquisite piano. 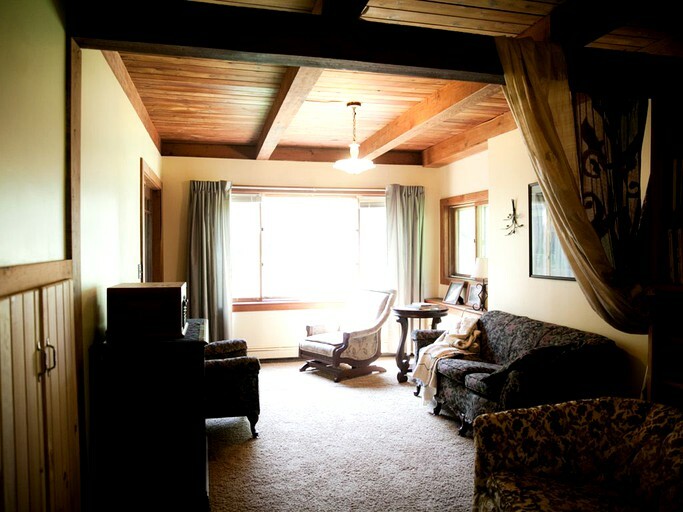 A separate family room has an excellent entertainment center and library. The room also includes a sleeping area for two. 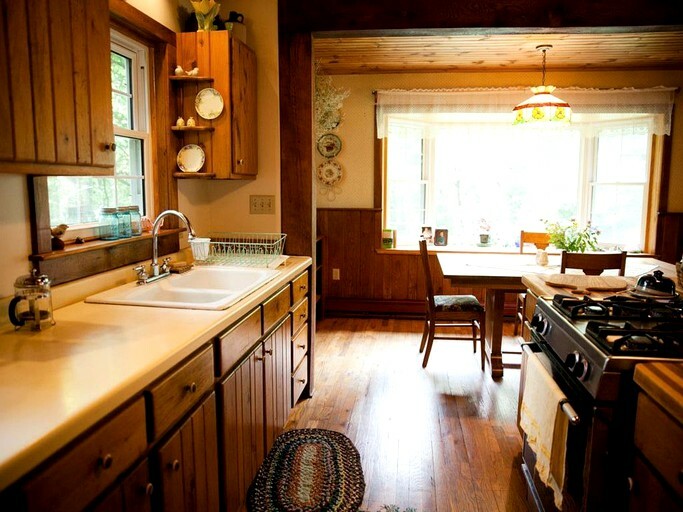 The fully-equipped kitchen comes with an island, a modern coffeemaker, a toaster, dishes, and utensils. 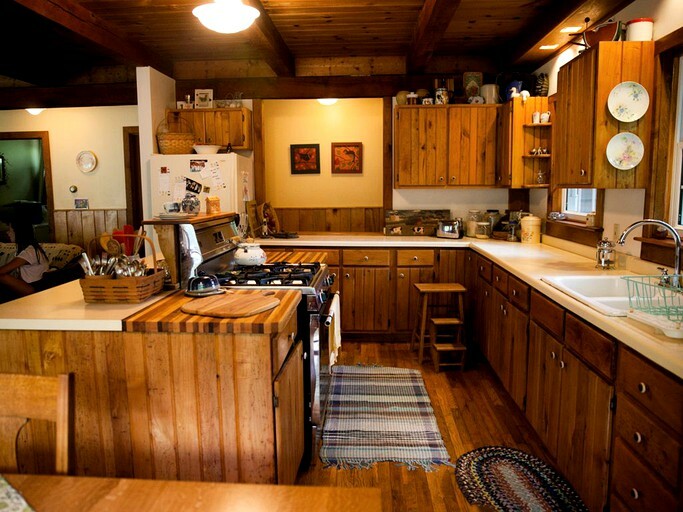 There is an oven and a stove for cooking, and a large fridge. The dining area has a wooden table, seating eight. 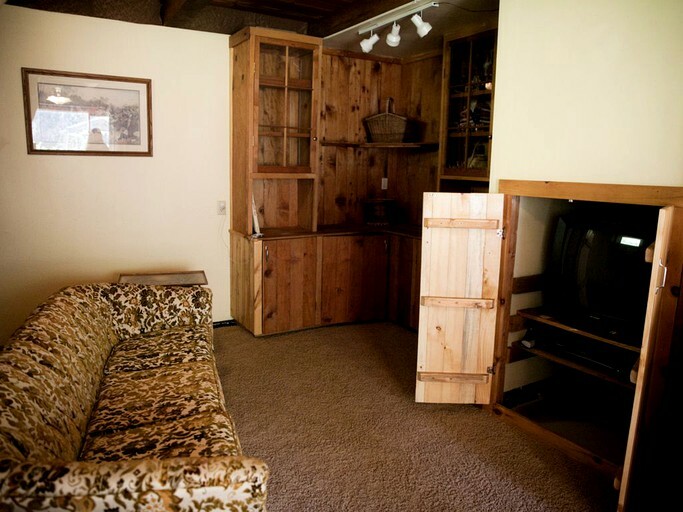 Other amenities include a washing machine and dryer, an iron and board, and a television. Glampers can stay entertained with books, a DVD player, games, a stereo, and a television. There is also heating within the property and Wi-Fi is available. Outside there is a stone fire pit and a charcoal grill for cooking. There is a large picnic area and lawn chairs for dining under the stars. Tomatoes, herbs, cucumbers, and peppers can be found growing in the garden while in season. 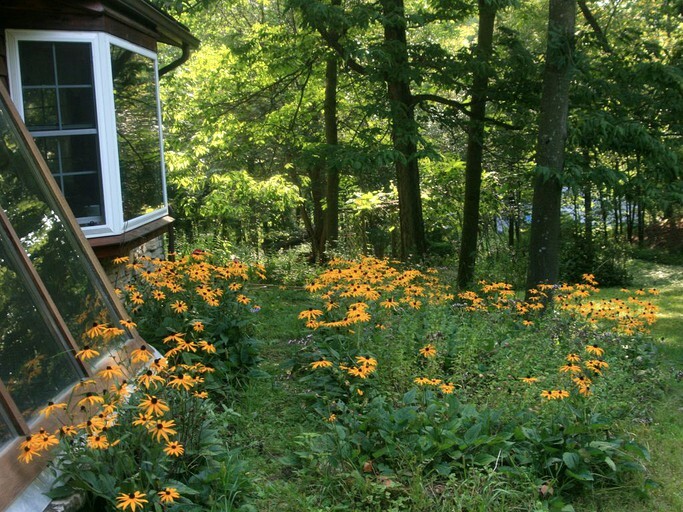 Spacious yards and grassy clearings in the woods are ideal for relaxing or picking berries. A badminton net is also set-up for exercise. 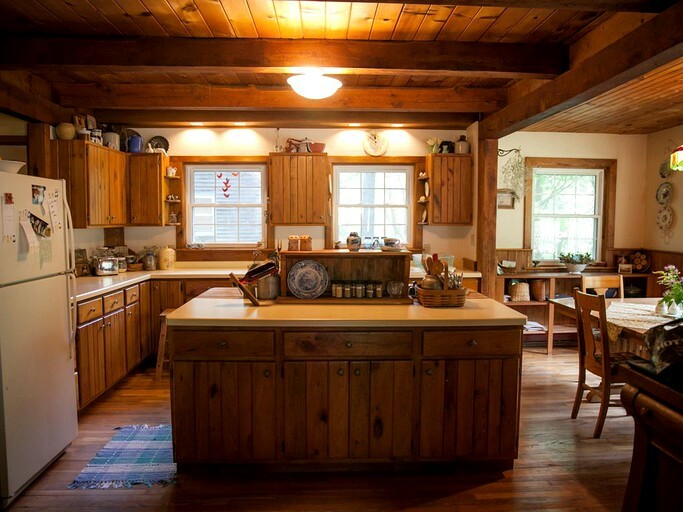 Hidden among Spring Grove’s natural forest area, this property has a wide range of modern conveniences, perfect for group vacations. Guests have access to books, a DVD player, games, a stereo, and a television. A washing machine and dryer are available to use, while an iron and board, and a telephone are all provided. The state-of-the-art coffeemaker is great for kick-starting any day, and there are utensils, a fridge, a stove, an oven, and a toaster for food preparation. Glampers can eat indoors at the beautiful wooden dining table, which sits up to eight guests and has a high chair. There is also a gorgeous stone fire pit and charcoal grill for outdoor dining. A badminton net is set up in one of the grassy clearings for the sporty-types. There is an expansive yard with a modern picnic table and lawn chairs for afternoon relaxation in the sun or stargazing at night. For cozy nights in, there is heating and Wi-Fi. Linens and towels are provided. Glampers can also make use of the on-site car parking facilities. The host can arrange a professional masseuse to visit for an extra cost. Guests should contact the host directly for more information. This idyllic retreat is set among gorgeous the woodlands of Spring Grove, near Caledonia, Minnesota. 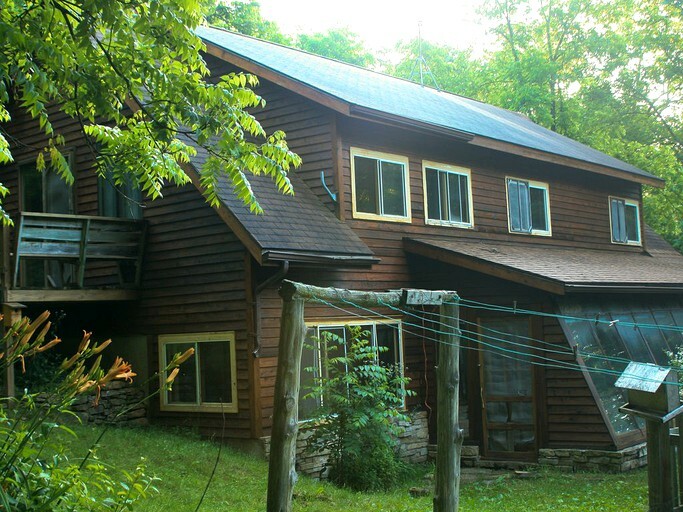 Surrounded by a stunning hardwood forest, this property is the ideal escape for groups seeking a remote destination in the West Beaver Valley. The site is located just 10 miles from the city of Caledonia and can be reached in around an hour from Rochester, Minnesota and La Crosse, Wisconsin. Rochester International Airport is just an hour and 30 minutes away while La Crosse Municipal Airport is around 40 minutes from the property. Grampers can enjoy hiking, birdwatching, and hunting nearby. There are miles of maintained snowmobile trails in winter and guests can explore one of the many parks close to the cabin. Raspberries, strawberries, black caps, and blackberries grow on site during August and September. A range of wildlife, including eagles and hawks, can also be seen within the property. 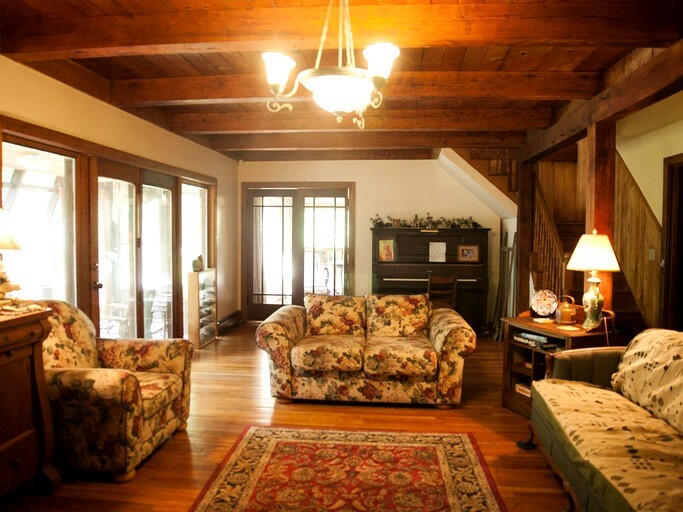 The property is located near several parks, nature trails, and entertainment venues. Guests can take a stroll along West Beaver Creek, just steps from the property, and into the Beaver Creek Valley State Park. In the park, there are beautiful flowers and birds to view, including the rare songbirds and kingfishers. In the stream, fishing enthusiasts can catch brown and brook trout. 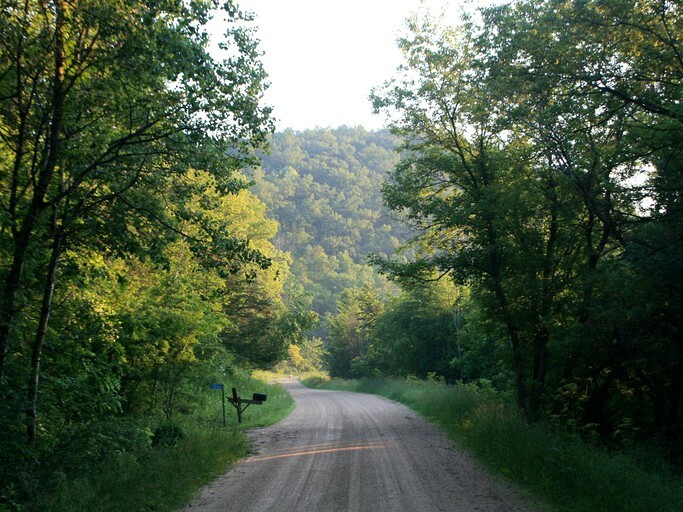 Just 20 minutes from the location, the Norwegian Ridge Birding and Nature Trails are perfect for year-round hiking. In the summer, guests can take on the one-mile, two-mile, or 3.5-mile tracks in their boots, or in winter snowshoeing is popular. Birdwatchers can also spot hawks, hummingbirds, owls, and bald eagles on the routes. Glampers can walk around the grounds of Viking Memorial Park or take a picnic to Trollskogen Park, within an hour of the cabin. The Swim Centre is also just 30 minutes’ drive for both kids and adults to enjoy. The natural limestone bluffs are ideal for climbing and getting panoramic views across Spring Grove and the surrounding areas. Guests can take part in the Sawmill Trail which goes through the hardwood forest on the outskirts of Caledonia. The route is great for horseback riding, mountain biking, hiking, and in winter snowmobiling, or snowshoeing. Indoor attractions include the historic Schech’s Mill and Ye Olde Opera House. Schech’s Mill is one of only three watermills still running solely on water power in Minnesota. Guests can take a tour to see the original millstones that are still being used or to buy a bag of ground cornmeal. The Opera House is the community theater that hosts a variety of performances throughout the year. The city of Caledonia, with its range of restaurants, bars, shops, and cafes, is just over a 10-minute drive away. Further afield, Rochester, Minnesota and La Crosse, Wisconsin are both within an hour’s drive. Glampers who are looking for a more relaxed day closer to home can play badminton or pick berries on the property grounds. 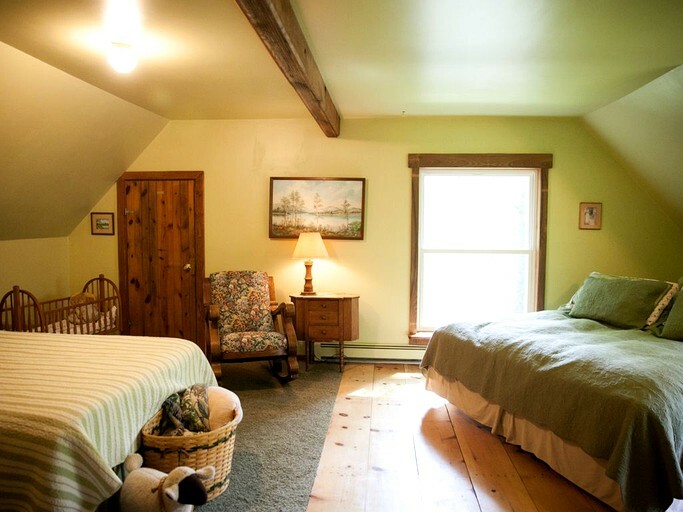 In winter, guests can stay cozy indoors reading a book, playing games, or watching DVDs. This is a non-smoking property and pets are not allowed on the site. There is an additional guest fee per person, per night. Families with children under six are not required to pay an extra fee for the children. There is a refundable damage deposit of $1000.